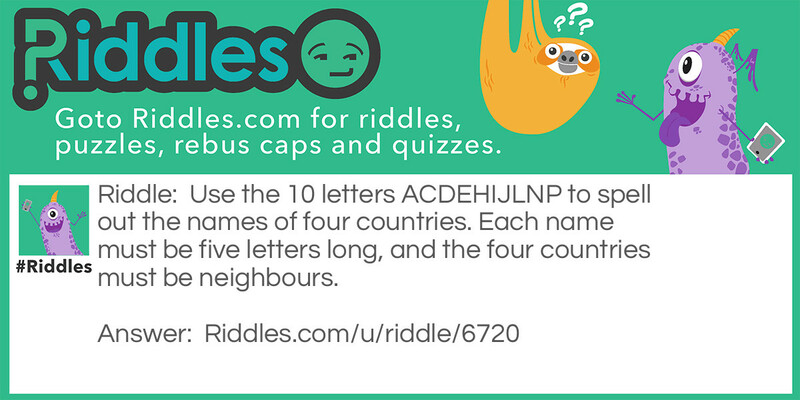 Use the 10 letters ACDEHIJLNP to spell out the names of four countries. Each name must be five letters long, and the four countries must be neighbours. Ch'ng Poh - Chinese Riddles to Celebrate the Chinese Lantern Festival Riddle Meme with riddle and answer page link.